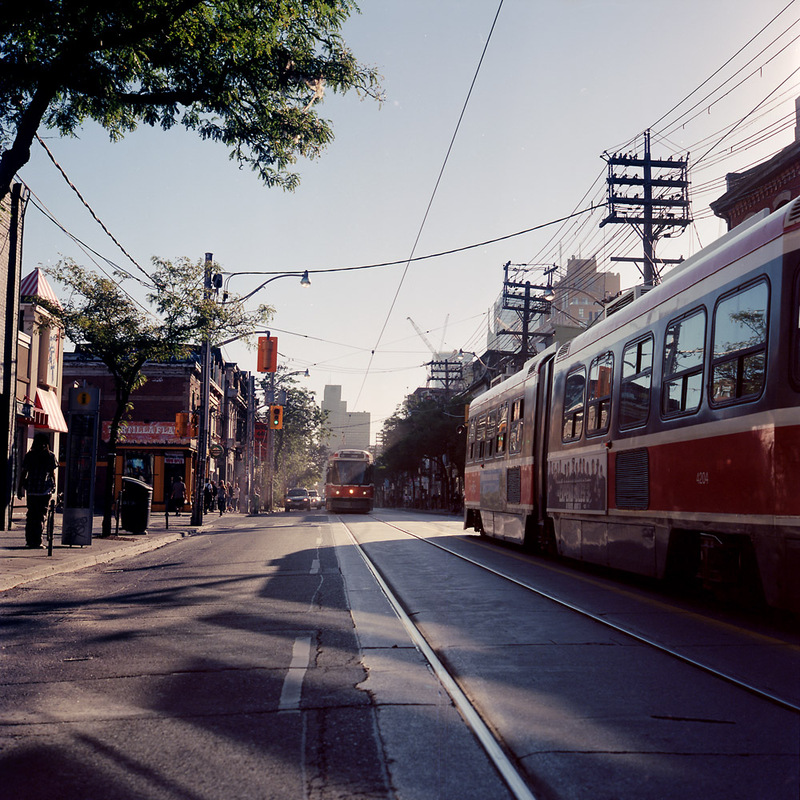 Two streetcars passing in the early morning light on Queen Street in Toronto. I loved the way the sunlight passed through the gap in the buildings to spotlight the distant streetcar. 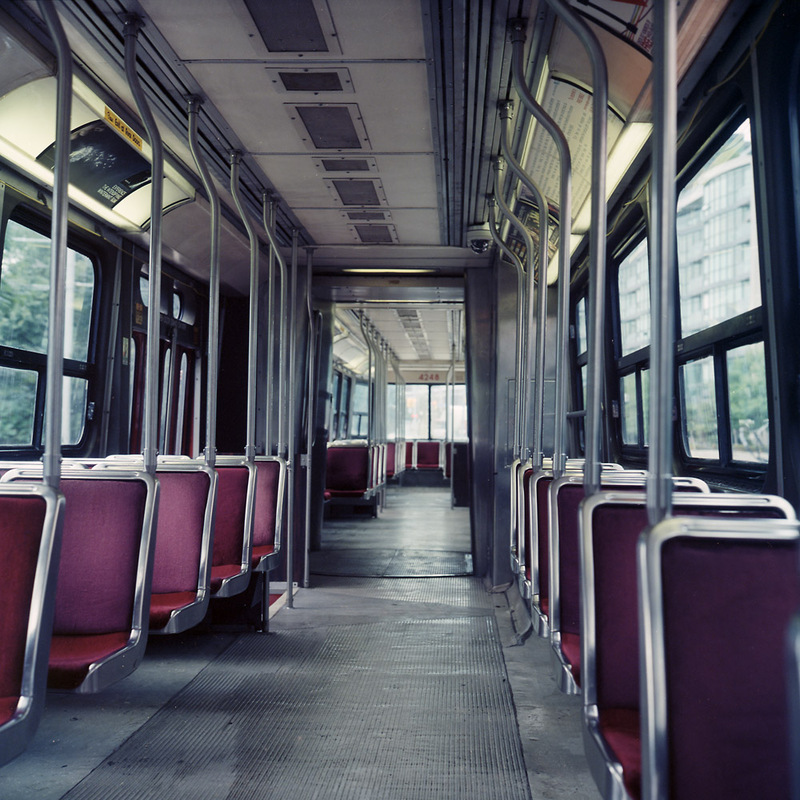 I was the first passenger on the line that morning – it’s one of the double articulated streetcars.